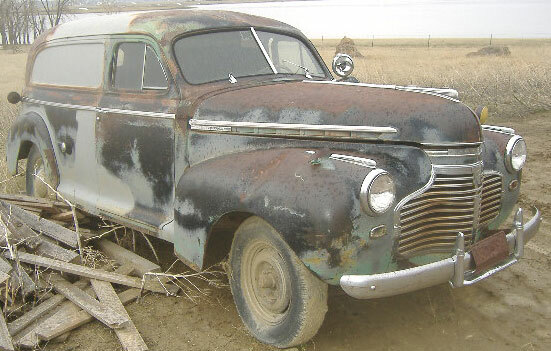 This black 1941 Chevrolet Series AG 1/2 ton sedan delivery is a very solid, complete body, interior and chassis ready to be restored or customized. The sheet metal is good, dry high desert condition. The left fender is damaged and could be repaired or replaced. The right fender has a dent above the wheel well. The rest of the body is very straight and solid. All the trim is there. The grill and bumpers are good. All the doors are good. 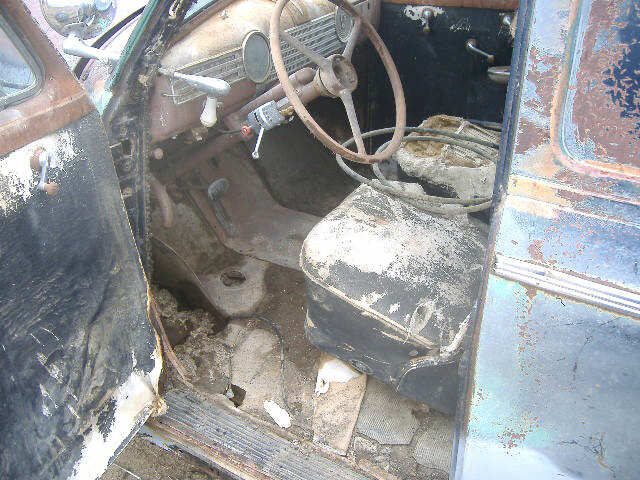 The interior is all there, including the original bucket seats. The dash is complete and the gauges are all there. There is some floor rust in the seat areas. The 216 CID OHV inline six cylinder motor and 3 speed manual transmission are gone. 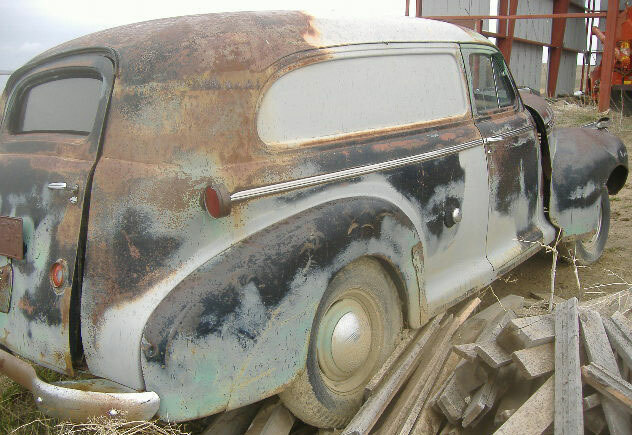 Don't miss this one as there are very few early forties Chevy sedan deliverys around. 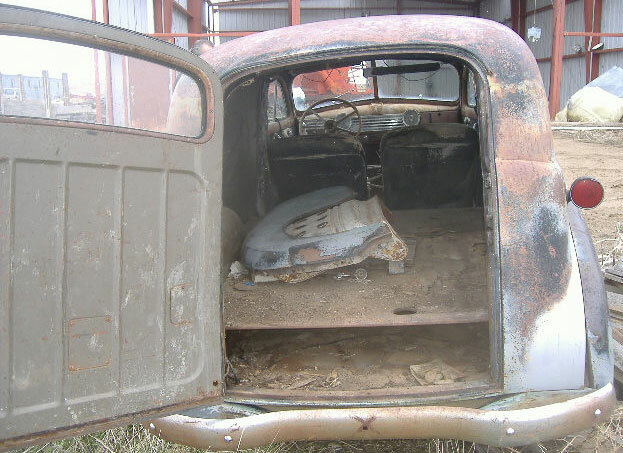 Please call (406) 318-0270 for details about this restorable classic 41 Chevy project car. For sale $4,500.